Description: Looking for a great outlet for kids to stay active during the winter months while building some self-confidence and strong work ethic? 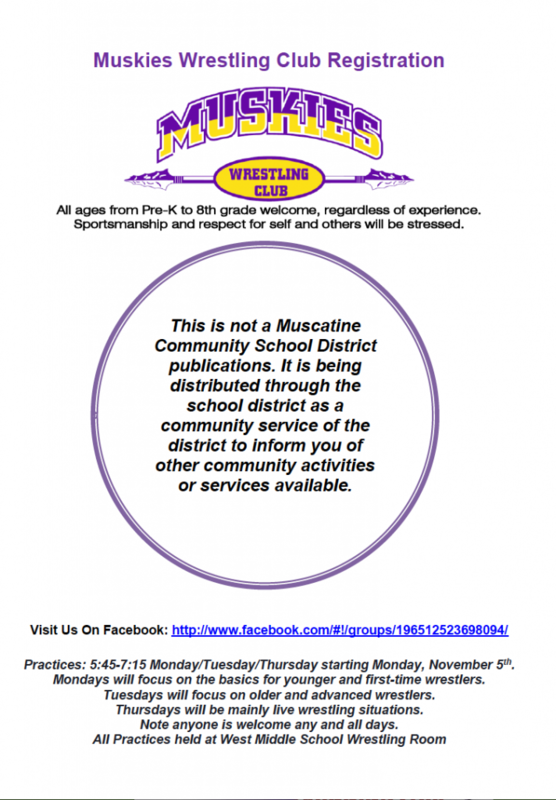 Come check out the Muskies Wrestling Club! Whether your wrestler has aspirations of competing throughout the season or just wants to get some workouts and to work on the fundamentals, we hope you’ll come check it out! 2nd grade and younger starts Mon 11/5, 3rd grade and older starts Tues 11/6.